The first time I watched the original Star Wars trilogy, it was in my freshman year of college. I was taking a cinema course in my first semester and that allowed me to go to the cinema library and browse from their incredible video library. Watching those three movies in those days was a really thrilling experience. They were good, neat sci-fi and it was around that time that I really started to delve into the realms of science fiction and fantasy. Up until that point I had experimented only with novel-length fiction but it was all rather limited since my high school library didn’t exactly have a good stock of such books and my personal collection was as far from impressive as you can get. But college changed that. Watching the adventures of Leia, Han and Luke made me want to experience Star Wars more and more. It helped that the general college library had an incredible collection of Star Wars novels from all over the Expanded Universe. It was like a new world had opened up to me. At the heart of that collection were various adventures of the Star Wars trinity of heroes, whether we talk Truce at Bakura or any of the novels from The New Jedi Order and everything in between. For three years, I was on a race-track of reading Star Wars fiction and I even bought quite a few of the novels. It was all incredible. And then, in 2013 we had Crucible (review) and Razor’s Edge (review). Both novels are about the trinity, but deal with them at different points in their lives. 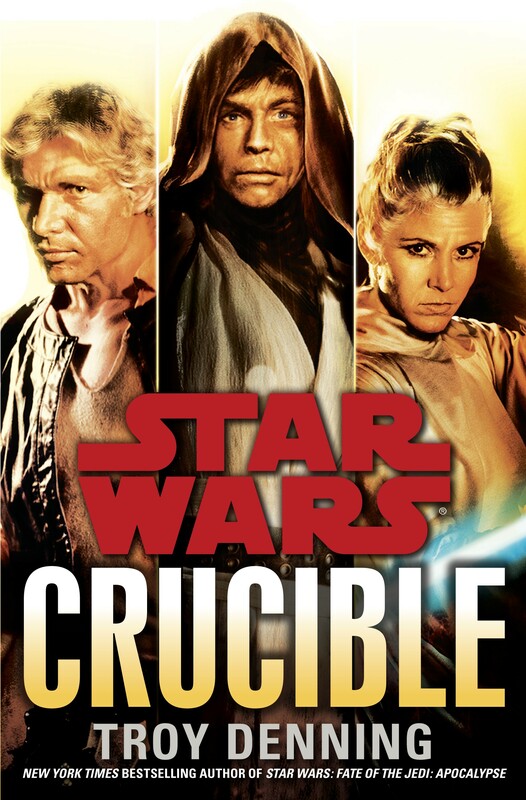 Crucible is set 45 years after the defining Battle of Yavin from the original Star Wars movie, what has now come to be called Star Wars: A New Hope. The trinity in this book are old and part of a generation that is dying out. But they are all still at their best and Troy writes them incredibly well. He makes them real characters with real deficiencies (and of course real strengths) and he never makes them into more than they are. At several points in the novel I was really afraid that things just might end permanently for one of them. There’s so much damn tension in the novel that you are always at the edge of your seat. That’s the nature of the novel. 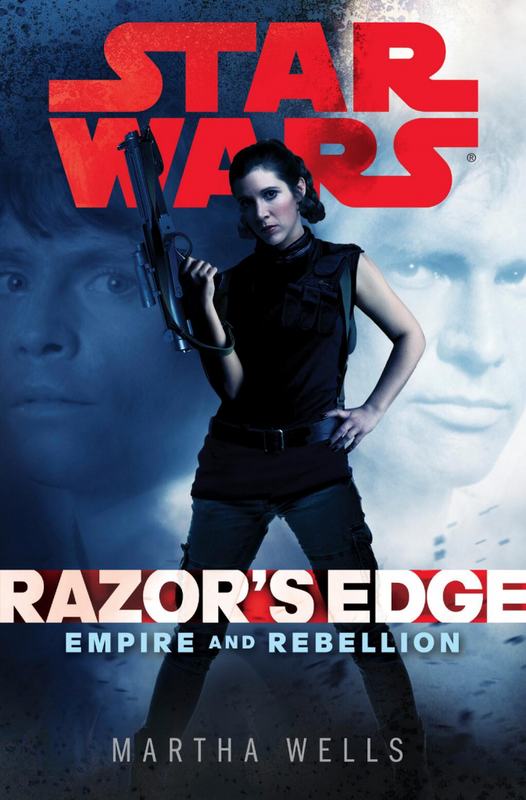 Razor’s Edge on the other hand, is set just 2 years after the Battle of Yavin, or in movie terms, is set between A New Hope and its sequel The Empire Strikes Back. The trinity here is young, somewhat untested, desperate, and not sure of itself. Everyone is still finding their feet, especially the Rebel Alliance now that it has had its first major victory against the Empire. Knowing that the trinity survives this time doesn’t mean that the story lacks any tension. There is plenty of it in fact. Martha Wells’ writing is really on-point here, much as Troy Denning’s was. Its been ages since I’ve read a book with the trinity so young and so in essence I was going back to the days of Truce at Bakura or Dark Empire or The Thrawn Trilogy. The differences between Crucible and Razor’s Edge in terms of the portrayals of the trinity could not be greater. At their core, they are essentially the same in one as the other, but its the experiences that have changed and molded them. And the galaxy has changed with them as well. In one novel they are known all over and are pretty much huge celebrities, given their 45 years of service to the New Republic, the Galactic Republic and then whatever the current form of galactic government is. In the other, they are still unknowns, with only Leia having any true notoriety as the Princess of a dead world. Suffice to say, I loved both books, most especially for how three of my favourite characters in the entire Star Wars universe are portrayed. Posted on January 2, 2014, in 12 Days of Best SFF Characters of 2013, Book Lists and tagged 12 Days of Best SFF Characters of 2013, Book Lists, Crucible, Del Rey Books, Empire and Rebellion, Han Solo, Jedi Order, Leia Organa, Leia Organal Solo, Lucas Books, Lucasfilm, Luke Skywalker, Martha Wells, Random House, Razor's Edge, Science Fiction, Space Opera, Star Wars, Troy Denning. Bookmark the permalink. Leave a comment.